What's Next for the Obamacare Insurance Exchanges? FRIDAY, Feb. 10, 2017 (HealthDay News) -- Americans who buy health insurance through the Affordable Care Act (ACA) marketplaces could have fewer health plan choices and face new enrollment hurdles and cost pressures in 2018, health policy analysts say. Lacking clarity on the future of the ACA, also known as Obamacare, several large insurers say they are weighing their options for 2018. Anthem Inc. CEO Joseph Swedish told investors during an earnings call last week that the company needs "certainty about short-term fixes" to the controversial health reform law to determine the extent of its 2018 participation. Aetna Inc. CEO Mark Bertolini put it more bluntly, telling investors, "We have no intention of being in the market for 2018." However, he added that the company would participate "where we think it's appropriate." Lydia Mitts, senior policy analyst at the health advocacy group Families USA, said it's difficult to say how insurers' decisions will play out from one region of the country to the next. "But I think it does leave everyone nervous about consumers having fewer choices in some markets in 2018," she said. President Donald Trump says he intends to replace Obamacare with something better, but details of such a proposal have yet to be released. 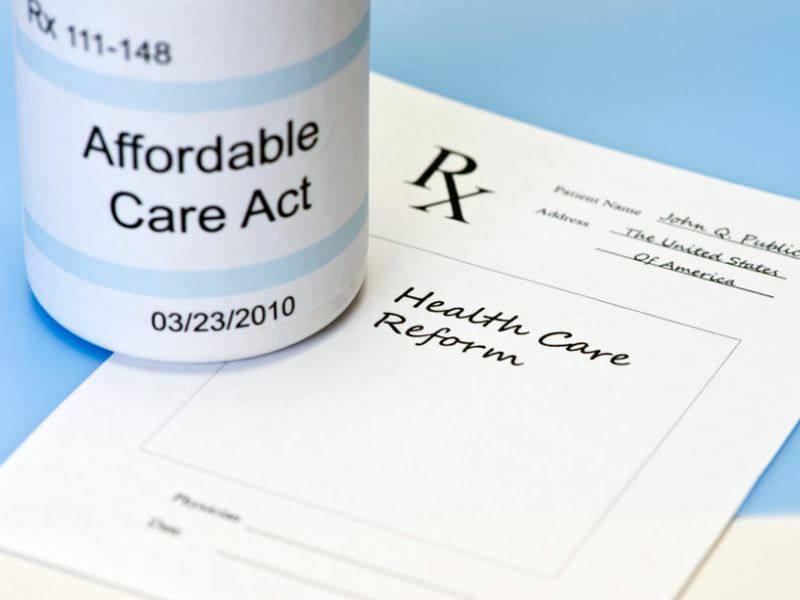 In the meantime, health insurers that want to participate in the Affordable Care Act marketplaces next year must begin filing proposed health plans and rates for state regulatory review this spring. They "need to know the rules of the road for 2018 in order to finalize their design of plan offerings and rates," explained Kevin Lucia, a research professor and project director at Georgetown University's Health Policy Institute in Washington, D.C. If there are no clear rules, that uncertainty will be reflected in next year's premiums and insurers' decisions to participate, he said. For example, ending the mandate requiring most Americans to have health insurance without replacing the Affordable Care Act could lead to significant premium increases for 2018, according to an analysis by Lucia and his colleagues. The Trump administration reportedly is working on proposed rule changes to keep health insurers in the marketplace next year. The administration will soon release a proposed regulation implementing several key changes, according to the news organization Politico. Based on draft documents, the administration is looking to charge older adults nearly three-and-a-half times more than it charges young adults, up from the current three-to-one ratio established under the law, the news source said. Other changes contemplated by the administration could cut the annual enrollment period in half, tighten rules around special enrollments and loosen rules on the percentage of medical expenses that insurers must cover, according to Politico. The Affordable Care Act's failure to attract sufficient numbers of young, healthy adults to offset the higher costs of insuring older, sicker members has been a persistent problem. Some insurers dropped out or scaled back their participation in 2017, citing sharp losses on ACA enrollment. Many others offered health plans but raised premium rates. Caitlin Morris, Families USA's program director for health system transformation, said the reported Trump administration rule "would make coverage less affordable for consumers, particularly older adults in the marketplace." AARP would consider suing the Trump administration if it advances a regulation charging older people more, The Hill reported on Tuesday. The rule could also create new obstacles to enrolling young adults, Morris said. "Younger adults coming off their parents' insurance at [age] 26 might enter through a special enrollment period that would require, under this proposed rule, additional documentation," she said. "And the more barriers you put up for young healthy adults to enroll, the less likely they are to do it," since young people generally don't have immediate health needs. Despite the uncertainty surrounding the ACA, more than 12.2 million people have signed up for coverage this year, the Associated Press reported Thursday.